The Jr. NBA Skills Challenge presented by Under Armour provides boys and girls, ages 13 and younger, the opportunity to showcase their fitness through a dribbling, shooting, and rebounding skills competition in the sport of basketball. The program is free for all participants and organizations. Boys and girls compete separately in two different age groups: 11U and 13U. 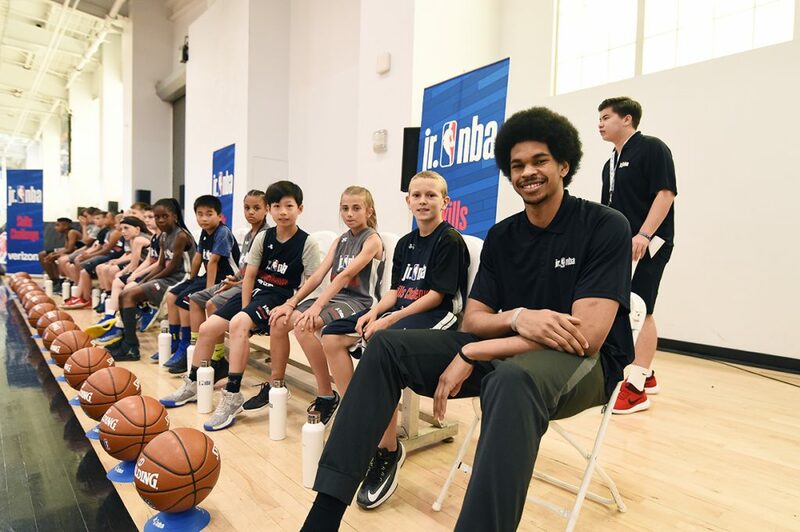 Jr. NBA organizations can register to conduct the Jr. NBA Skills Challenge presented by Under Armour program for their participants using the online administrative tool kit. 1st, 2nd, and 3rd Place finishers in each age and gender group are submitted and advance to a Regional Competition. The NBA will host Regional Competitions at select pre−determined multi−court facilities on a Saturday or Sunday. Players receive t−shirts, awards, and potentially team sponsor related items. The 1st Place Champion in each age and gender group from each of the Regional Competitions will automatically advance to the National Finals. The Regional Competition Champions (top male and female in each age group) will compete in the National Finals. Finalists win an all−expense paid trip to New York City, receive gift bags, attend special events, interact with NBA/WNBA/G−League Players, Legends, & Draftees, and attend the 2019 NBA Draft presented by State Farm. Administrators, thank you for your interest in hosting a Jr. NBA Skills Challenge presented by Under Armour local competition. Registration for 2018-19 is now open. Please click on the Register Button below to register your organization to host a Jr. NBA Skills Challenge presented by Under Armour local competition. Note to Parents: You cannot register your child through the Jr. NBA Skills Challenge website. The best way to participate in a local Jr. NBA Skills Challenge event is to approach the local organization in your area and encourage them to register to host. Additionally, local events below will be updated here once a week. Please contact an organization on the list that is near you to learn about and confirm their event details. The online administrative tool kit will allow organizations to easily administer the program. Administrators registered to host a Local Competition should download and utilize the below administrative tool kit. Please click each individual link to download the file. If you need to change the date, time, or location of your Jr. NBA Skills Challenge presented by Under Armour local competition, please do so via your account dashboard here. Do not re-register your program to reflect the new details.